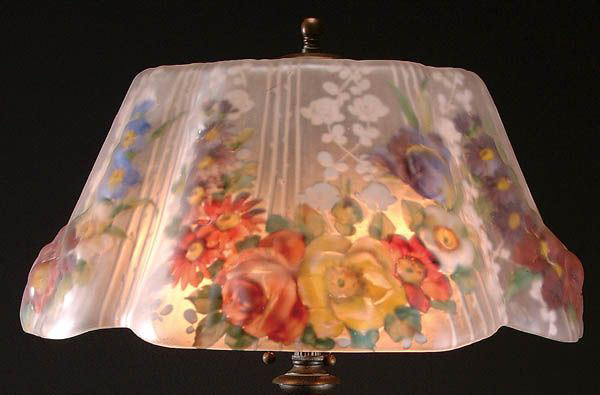 Here is a lamp shade known as a Pairpoint Marlborough shade. This shade looks similar to a handful of other Pairpoint shades. So do take care when trying to correctly attribute your lamp if it looks similar to this.